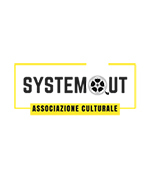 The two Juries of the fifth edition of the Torino Underground Cinefest, proposed by SystemOut and A.C.S.D. ArtInmovimento, have revealed the special Mentions they have conferred. Among the features, the only special mention was given to the little Jeremy Miliker, for the role of Adrian in “The Best of all worlds” by Adrian Goiginger ‘for his formidable spontaneity, for the naturalness and ease with which he manages to live in front of to the camera, and for the marvelous hope that he has been able to give us, in a tribute of joy and purity that transcends all evil. Thanks, Jeremy! You are a little angel of light that illuminates our darkness’. Among the short films, six Mentions were assigned. The first was attributed to Amikam Kovner’s Fatherland ‘because he manages to photograph a split in 28 minutes with very specific roles and tasks without taking sides of anyone. Beginning and concluding gracefully the story, it integrates very well the human and family aspects, by describing with minuteness the disregarded expectations of both the young and the adult, closed in a strong social immobility’. The second was assigned to Phallus Malus by Claire Maugendre ‘for presenting a courageous and certainly original story, for making a social contribution to the gender issue by presenting with delicacy the emotional aspect of an hermaphrodite transaction that faces love, and for the magnificent combination of film narration and music’. The third was given to Transmission by Varun Raman and Tom Hancock for ‘originality, staging, colorimetry, the cinematic look and for the truly impeccable interpretations of the two protagonists James Hyland and Michael Shon’. The fourth was given to Water Hunters by Massimo Ottoni and Salvatore Centoducati ‘for the care of the animation product, for the environmental message and for describing a possible future that revolves around the element of life par excellence: water’. Two more specific Mentions have been assigned to enhance some interpreters. 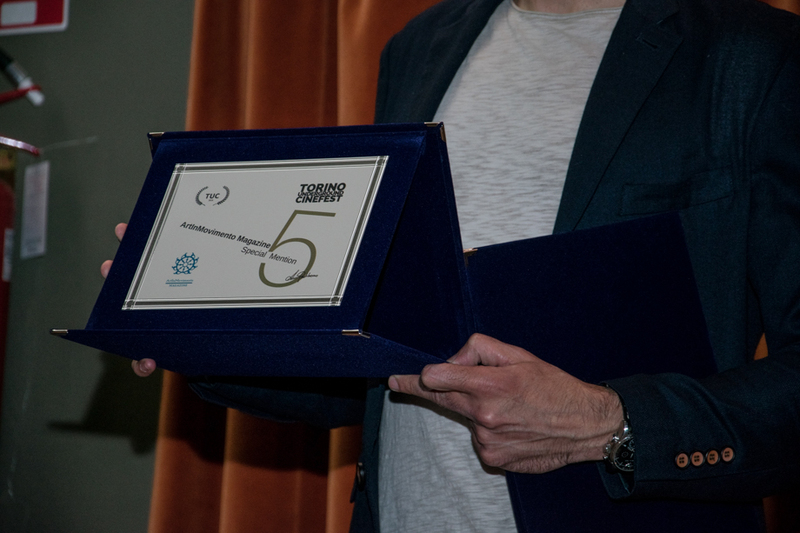 The Jury of Short Films, in fact, has attributed a Special Mention to the actor Akillas Karazisis (Freezer) ‘for his exceptional interpretation, capable of masterly rendering the many facets of the character who is confronted with a situation which was far from simplicity and very current’. The other mention was assigned to the actress Haydee Leyva (Julkita) ‘for her impressive, gritty and charged interpretation, decidedly unassuming from the rest of the short. The actress embodies with mastery the duplicity of the woman, from remissive to executioner, clearly showing the turbulent movements of the days of the menstrual cycle’. The Torino Underground Cinefest has also provided other mentions proposed by the four media partners and by a cultural partner. ArtInMovimento Magazine bestows its Special Mention on short films to Martin Grau’s King Granpa ‘for his ability to focus on stories capable of winning even the inevitable death event in a continuous and delicate game of transition between dream, memory and reality. The direction is very valid, convincing interpretations, involving and exciting the development of the narration’. The aforementioned magazine gives its own special feature Mention to Wall of Death by Mladen Kovacevic ‘for the ability to excite the viewer by documenting, through a film look and an extraordinary and hypnotic soundtrack, the memories and emotions of the protagonist.Wall of Death is able to move and it does it from the first frames. The long plans of the protagonist Branckica who smokes a cigarette, his monochord and ineluctable expression, constitute the leitmotif of the entire documentary.A woman, her memories and her sufferings emerge with extraordinary aesthetic beauty thanks to the appeal that the director Mladen Kovacevic impresses on the documentary, arriving to the public that admires the full fascination’. Italia Che Cambia gives its special mention to New Neighbors ‘for the delicate problem of the racial issue, sharpened by the difficulty of a mother who needs to protect her children from problems which were much greater than them. Very timely, it also presents a good rhythm composed of intense emotional passages, a good care of photography and a wise choice of editing, which sharpen up a plot and the connected events already in itself compelling’. Piemonte Che Cambia assigns its own special mention to La rivincita di Casale Monferrato by Rosy Battaglia ‘for the thickness of a real journalistic investigation which analyzes the problem of asbestos and above all for how it aims at the positive and the description of a resilient city that transforms itself and reborn’. TorinOggi gives its Special Mention to Water Hunters by Massimo Ottoni and Salvatore Centoducati ‘for the theme of water, a source of life and strategic resource of the future, wisely told with the product of animation that allows the viewer to imagine himself in a place without time together with the protagonists of the film’. The IISS “Luigi Des Ambrois” of Oulx (Turin) confers its Mention to Lovers never say goodbye by Christoph-Mert Hagen ‘for having shown through the narrative force and the visual sensibility, the theme of love as an absolute link and for having been able to offer an emotional -and sometimes sentimental- point of view on such a difficult genre as horror’. ‘The work of the two Juries was excellent. I guess it was not easy to evaluate products of this thickness. The quality is evident also for the different special mentions assigned. We will wait for the names of the winners of the prizes tonight’, says artistic director Mauro Russo Rouge. From 6.50 pm there will be the last day of TUC 2018 with three short films, two feature films and three interesting Q&A. From 12 pm the award ceremony will be led by Federico Bianco and Announced Gentiluomo.